When Cyndy and Barry Olliff bought the property that would become Stable View Farm in 2010, they knew the place was special. The farm encompasses 160 rolling acres surrounded by 2,000 acres of conservation land. The stable there was originally built for the Sage Valley Hunt Club and commands a view across a wooded valley to the north of Aiken. Designed as a hunting preserve, it was partially cleared, with meadows for game birds and kennels for the dogs that would hunt them. It was not yet a world-class equestrian facility, but it definitely had potential. The Olliffs live in Pennsylvania where Cyndy enjoys foxhunting and Barry is kept busy with his job in finance. One winter, they came down to Aiken with a few horses. “I don’t know what it was, but I fell in love with the area,” says Cyndy. Soon, they were looking at properties, and toured much of the available real estate in the county. When they finally saw Stable View, they knew they had to have it. “I was so taken by the place, when I got out of the car I was literally running down to look at the paddocks,” says Cyndy. 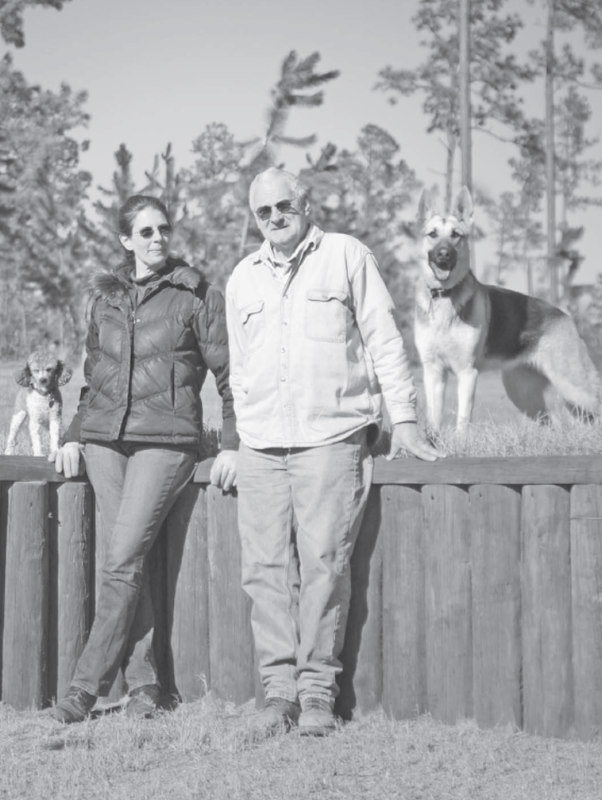 Their original goal was to buy an Aiken base of operations for Cyndy’s foxhunting, but Stable View was more than that, and so they decided to try to develop it to its full potential. Given its rolling topography and Aiken’s prominence in the eventing world, it was only natural that they should decide to transform it into an eventing facility. Since they were not experts in the field, they started doing research and consulted with some of the top names in the sport. One of these people was Kim Severson, who won the individual silver in eventing at the Athens Olympics. She introduced them to Captain Mark Phillips, the former chef d’équipe of the United States Eventing Team. She also began making Stable View her winter base of operations. “We decided that we wanted to make an international quality training facility,” says Barry. Over the next years, they worked towards that goal. They added new apartments and living areas to make it convenient for people to bring their horses in from far away. They converted the kennels to more stables with attached apartments. They reconfigured four large existing paddocks into 35 half-acres ones, so that each stall on the property would have its own designated paddock. 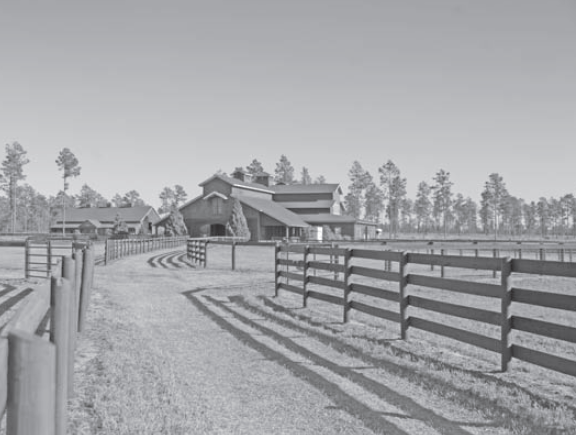 They wanted their riding and training areas to be first quality and they wanted to address the needs of the Aiken community and so they put in a covered arena – there are not many in Aiken. Theirs is huge: 300’ x 250’, with a high ceiling, skylights and Pinnacle® footing provided by Attwood Equestrian Surfaces. “It’s big enough that it has its own microclimate,” says Barry, noting that it is noticeably cooler under its shade during the summer. The United States Eventing team used the arena for its High Performance training sessions during the winters of 2013 and 2014, and the facility has been designated as an official winter training site for the United States Equestrian Federation. Their most ambitious project thus far has been the construction of a cross country course with fences up to the Intermediate Level. They hired Captain Mark Phillips to design the course, with Eric Bull to build the fences and Mike McCarthy to prepare the gallops. They brought in experts from Clemson University to consult on how to plant the best grass and how to rid the course of fire ants. They drilled five wells and bought a portable, above-ground irrigation system with a mile and a quarter of pipe that can water the entire course. “Each well puts out 50 gallons a minute, and so the system produces 250 gallons a minute. It’s an immense amount of water,” says Barry. The new cross county course includes bank complexes, ditches, a sunken road and many portable jumps. In addition to all of this, the Olliffs are putting in a Grand Prix jumping arena with turf footing and an additional all-weather outdoor arena. The Olliffs brought in Shelley Spielman as managing director of the farm, and she put on their first dressage and combined training schooling show in December 2013. This June, there will be a Jimmy Wofford eventing clinic, and two more dressage and combined training shows in June and July. By the end of September, the cross country course will be ready for Aiken’s eventers. Stable View will hold its first USEF recognized horse trials on September 27-28, with divisions from Beginner Novice through Preliminary. “We’re still talking to people about expanding the schedule,” says Barry, who says that they would like to see the facility used year round, and not just during the height of the winter eventing season. They are considering ways to attract international trainers, which they believe would bring in more people in the quieter months. They are also open to other disciplines, and are exploring the possibility of holding an endurance ride starting at Stable View. The Olliffs are still in Pennsylvania most of the year, where Barry has his work and Cyndy is a trustee of a foundation that helps disadvantaged children get into college, and then mentors them once they are there. Barry expects to retire in a few years, after which they both will be able to devote more time and energy to Stable View. Beyond seeking more business opportunities for the facility, they also wonder if they might be able to use it to reach out to some of the less privileged people in the area. For more information, visit www.stableviewfarm.com. The Aiken Land Conservancy recently added three pieces of property to the real estate it is protecting from development with conservation easements. They include a 6.4-acre plot in Aiken's Horse District that is owned by Scott Riviere. “I love how diverse the three are, but even though they are different, they are all equally important to us,” said Katie Roth, who is the conservancy's executive director. The properties won't be open to the public because their owners chose to keep them private. The acreage in the Horse District is located near the Winthrop Polo Field, which is owned by the conservancy, and the Clark Barn, which is protected by a conservation easement. There are horse paddocks, but no buildings, on the land that Riviere donated. “What a privilege, for me, to place a conservation easement upon this property that preserves scenic views in an area important for its cultural and historical context,” Riviere said. The largest of the newly protected properties is a 278-acre tract that a Ridge Spring landowner donated. It has significant frontage on the South Fork of the Edisto River. The Edisto is the longest free-flowing black water river in North America. The third newly protected property is a 34-acre area at Three Runs Plantation, a residential equestrian community that has more than 30 miles of trails. The plot provides a buffer between the Lower Border Trail and the Savannah River Site. It also provides a buffer for Three Runs Creek, which is a tributary of Cedar Creek, a major watershed in Aiken County. The addition of the three pieces of property raised the number of acres protected from development in Three Runs Plantation to 175. 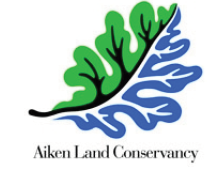 Founded in 1991 and formerly known as the Aiken County Open Land Trust, the conservancy has preserved more than 2,000 acres of land. The organization owns nearly 600 acres of that property, according to its website. Dede Biles is a general assignment reporter for the Aiken Standard and has been with the newspaper since January 2013. Article originally posted Tuesday, April 1, 2014 6:11 p.m.